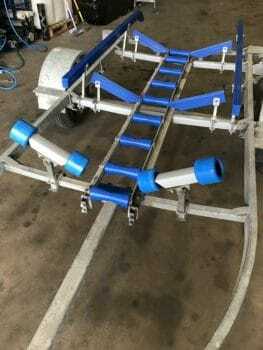 4x 500mm Boat Trailer Bunk Flippers. 4x 12″ Wood Yoke Stem Brackets To Support Bunks. 6x 8″ Wood Yoke Stem Brackets To Support Flippers. 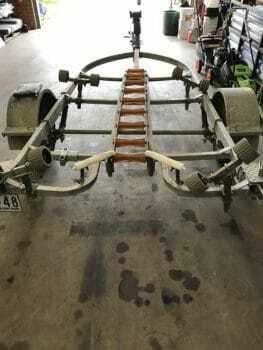 Changes: Boat trailer kits can be altered. Additional fees may apply for changes to be made. 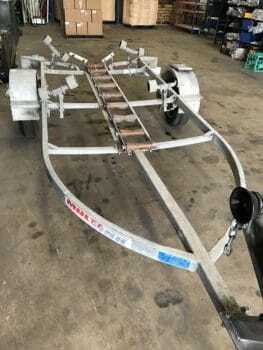 Shipping: Boat Trailer Kits contain numerous parts. Please contact us to obtain a quote for Australia wide shipping. Local pickup can be arranged from our Hastings, Victoria location. – Picture shown is for display purposes only. 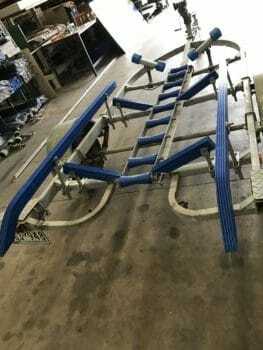 Ladder rack does not have holes pre drilled for attachment to your trailer. This is due to different trailer brands positioning cross sections at different widths. This part will need to be completed by purchaser.